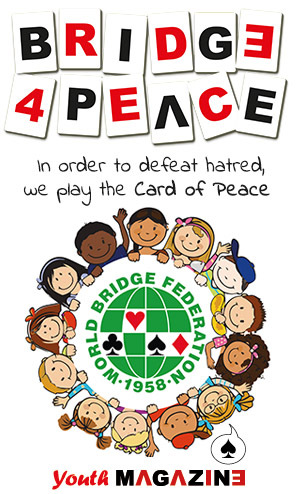 The World Bridge Federation (WBF) is the international governing body of contract bridge. The WBF is responsible for world championship competitions, most of which are conducted at a few multi-event meets on a four-year cycle. The most prestigious championships are those for national teams in Open, Women, and Seniors categories: the Bermuda Bowl, Venice Cup, and Senior Bowl (jointly the biennial “World Teams Championships”), and the quadrennial World Team Olympiads, incorporated in the World Mind Sports Games beginning 2008. The World Bridge Federation was founded August 1958 by delegates from Europe, North America, and South America (now Zones 1 to 3). It is incorporated under the laws of Switzerland as a ‘non-profit’ organization. Harold Stirling Vanderbilt was made the first honorary member of the WBF for his work developing the game. The current president is Gianarrigo Rona of Italy, effective October 2010. WBF membership now comprises 123 National Contract Bridge Organizations (NBOs) with about 700,000 affiliated members, most of whom participate in bridge competitions locally and many of whom compete nationally and internationally. The NBOs belong to the “zonal organization” in one of eight geographic zones. Each National Contract Bridge Organization agrees to fulfil certain requirements, such as opening its ranks to all its citizens and residents and upholding a standard of ethics acceptable to the WBF. The World Bridge Federation has a Congress to which each NBO is entitled to send one delegate. The Congress meets every second year, at Team Olympiads and at World Championships. The WBF is administered by an Executive Council which is assisted by the various Committees and Consultants it appoints.